Visit the largest alien and ufo news website webelieveinaliens. Who Built the Monoliths? The monoliths have been around for thousands of years and have been a huge mystery to many people all over the world. Ancient Alien investigators have been trying to put together the connection between aliens and monolithic structures for many years. Were these structures to tell extraterrestrials how to find us? How did these monoliths come to be? Who built these giant stone structures and what was there purpose? These are questions we will try and explore for thousands of years to come. Monoliths are defined as a single standing massive stone. This means they were not crafted such as blocks, but were erected in one piece. Some of these stones weigh five hundred tons and traveled hundreds of miles to be stood in their places. This would have been an amazing feat for the cultures of this time. How did they get these giant stones across oceans and rough landscape? Some people believe that they were dragged by giant trees and rolled from one place to another. The terrain that these stones would have had to cross makes this an argumentative idea. Some of the terrain means they would have had to cross small mountains with these logs. Imagine trying to drag a giant stone uphill with nothing but ropes and trees to roll it on. This seems impossible. That leads investigators to try and find out another way these monoliths could have been erected. Why monoliths were even built? 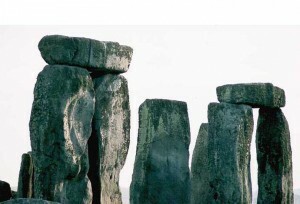 Stone Hinge is one of our greatest megalithic structures ever erected. The blue stones that contain quartz were moved a hundred miles to be erected into a structure that is an exact replica of our solar system. Just seventeen miles from Stone Hinge is another monolith in the town of Avebury England. This monolith is twice the size of Stone Hinge. Ancient Alien investigators believe that this is a sight that was visited by extraterrestrials thousands of years ago before Christ was born. They believe that these are sights that aliens visited and humans made structures to worship these beings. Stones were believed to be used because they last thousands of years and the quartz in the stone is believed to have healing powers in them. Were these stones built to make the visiting aliens feel welcomed? Maybe they were a map so that the aliens could revisit Earth. There are many different reasons why people believe that Monoliths were built. Some believe that because of the healing power in the stones it makes them a mystical place of healing. You can visit these places, get well, and talk to God. So many different calculations go into making one of these mysterious sights that it makes it hard for our generation to pinpoint the reasons they were built. There is no records left of why these monoliths were created and who created them. We have to study them and keep making logical guesses as to how they were built and why these giant stone structures were erected in the shapes and places that they are in. When Arnold Schwarzenegger first wentmano a mano with a seven-foot space iguana in 1987, I don’t think many of us realized that a minor classic was in the making. Taut, exciting and just subversive enough to give its preassembled concept a .